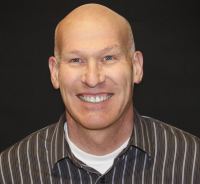 Walt is the Public Health and Fitness Director for Nimkee Clinic. He graduated from Michigan State University with a Master's degree in Health Education and Exercise Physiology. Walt has been employed with the Saginaw Chippewa Indian Tribe for 23 years and is part of the SDPI team. Tracy graduated with honors from Saginaw Chippewa Indian Tribal College in 2012. 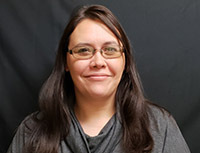 Tracy has worked for various departments within the tribe, since 1996, including Human Resources, Ziibiwing, Tribal Court, Accounting, and for the last 11 years at Nimkee Public Health. Tracy is also a member of the tribes' strategic planning team called Vision Makers. In her spare time she enjoys relaxing with a good non-fiction book or spending time with her family. Earl has worked for the Saginaw Chippewa Indian Tribe for the past 22 years and currently working with the Public Health Department. Earl is responsible for transporting eligible patients to their medical appointments. Earl's hobbies include working on cars, his pets, and his three children, foster children and grandchildren. Earl is very proud of all his children with one in the army and one recent college graduate. Sue graduated Lansing Community College in 1984 as a nurse and obtained her BSN from MSU in 1997. 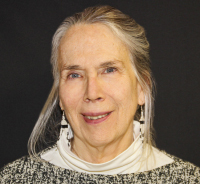 She has been working with elders and the disabled for the Tribe in Public Health since 1995, primarily working outside the office by visiting clients in their homes and helping with events. She is married to Joe with 1 daughter, Lindy and loves to travel, garden and raise Soft Coated Wheaten Terriers. 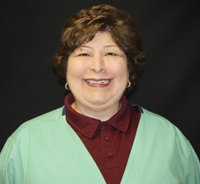 Anna has had 20+ years of nursing experience including hospital nursing in OB unit including Labor and Delivery, Post-Partum Care and Newborn Nursery nursing. She is a member of AWHONN Association of Women's Health, Obstetric and Neonatal Nurses. She earned 3 specialty certifications that have helped her in her 14 years with the Saginaw Chippewa Indian Tribe's Nimkee Memorial Wellness Center. The first is her Lactation Counselor Certificate since 2004, Parenting Class Moderator for the Love and Logic Curriculums, and her FASD (Fetal Alcohol Spectrum Disorders) Training of Trainers Certificate. Anna graduated from Piedmont Community College in Roxboro, NC in 1994. Her hobbies include: cooking and entertaining company in her home, singing in her church choir, playing her flute and participating in the Flute Choir, and enjoying going to movies and keeping up with her 6 children and her 6 grandchildren. Robyn received her Bachelor of Science degree majoring in Health Promotion/Health Fitness from CMU in 1987, and in 1991 receiving Certified Health Education Specialist credentials from National (NCHEC). 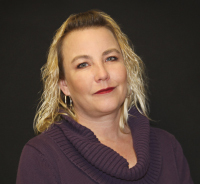 Robyn has over 25 years of experience, spending the last 9 years working for the Saginaw Chippewa Indian Tribe. 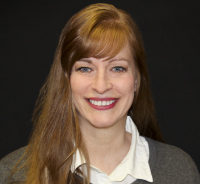 Robyn has worked at two Michigan Health Department's as County Wellness Coordinator, Environmental Educator, Certified Michigan Model Trainer for 5th and 6th grades (heart and lung dissection) to name a few. In 1997 becoming an HIV/AIDS/STD counselor (including partner notification) from MDCH. In 2005 she received Instructor Certification for the American Red Cross enabling her to provide pediatric/adult FIRST AID/CPR/AED classes. Last year she certified 450 students. She works jointly with Nimkee Medical providing services to those interested in HIV/STI testing and education. She also works with Nimkee Fitness providing fitness to the afterschool program. Our goal is to exercise and teach the benefits of exercise, but also to make it fun. We want to "instill the love of exercise" in the students. In her spare time Robyn enjoys spending time & having fun with family and friends, exercising, golfing, watching football, beautifying the lawn, and riding horses. 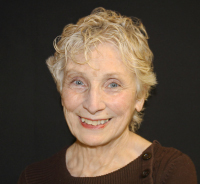 Sally received a Masters in Public Heath Nutrition at the University of Michigan in 1977, then completed her work to become a Registered Dietitian/Nutritionist; she has been with Nimkee Clinic for the past 15 years. 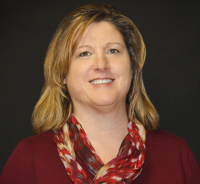 Whether in the office or in the community, Sally addresses many interests, including: diabetes, pregnancy, infant and child feeding, achieving a healthy weight, sports nutrition, etc. Her goal is to help clients help themselves, as they increase their understanding of nutrition information and explore their eating behaviors. Clients learn to create easy enjoyable menus and tasty recipes, and include their favorite foods. Sally received her Lactation Counselor Certification in 2004; she also earned a Masters in Exercise Science at Wayne State University in 1992, and instructed exercise for several years. From 1971-1973, she lived in Afghanistan as a Peace Corps volunteer. 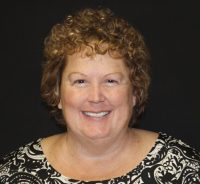 When not at the clinic, Sally enjoys canoeing and camping, and guides trips in Northern Michigan and Canada. Tamara is a highly qualified Registered Nurse with 28 years' experience in hospital, home care, primary care and public health education. Tamara has been with the Saginaw Chippewa Tribe for the past 15 years and received her Certified Diabetes Educator board certification in 2002, with a renewal in 2007. She is a certified Insulin Pump Trainer, Omni Pod Trainer, Wound Care Consultant, Sexual Assault Nurse Examiner and PATH Leader. Tamara provides diabetes education in both clinical and group settings and is a co-leader in the PATH program. She also provides case management and policy and procedures development/revision. She enjoys spending time with her husband and daughter as well as quilting and activities with family and friends. 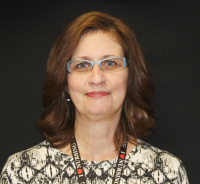 Sandra has 25 years of nursing experience in management, medical office nursing, and long term care and currently in a public health setting with an emphasis on diabetes care in a Native American Community. She has worked for the Saginaw Chippewa Indian Tribe for the past 21 years. Sandra received her Lactation Consultant Certification in 2004 and has been instrumental in implementing GPRA and EHR for the public health staff at Nimkee Clinic. She does diabetes education in a clinical setting, adult, youth and family community events and grant requirements as needed. In her spare time, Sandra enjoys spending time with her husband and grandchildren. Women's Health, Healthy Start Began with the Tribe 17 and 1/2 years ago in the Temp. Pool. First assignment was with Women's Health at Nimkee and have been here ever since. Moved from temp to part-time and have been full-time for the last 14 and 1/2 years. Currently assist with women's health; coordinate the BCCCP, Healthy Start, and Public Health 4x4 Grant programs in addition to other duties as assigned. Past experience includes Human Resources office manager for the 2nd largest school district in Los Angeles County (Torrance, Ca. ), assistant director for the local Red Cross, United Way secretarial assistant, pre-school teacher, and editor for the local senior news. Graduated from CMU as a non-traditional student with a BAA in Art and a Graphic Design Concentration. Have designed Nimkee brochures and edited and written children's stories for diabetes and tobacco coloring books. Hobbies include playing with grandchildren, bowling, knitting, crafts including grapevine wreaths, reading and watching mystery stories, and writing. Women's Health Coordinator Jenna graduated with her RN, BSN from Lake Superior State University in 2011. 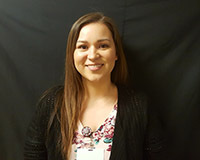 Jenna has three years of nursing experience in hospital care with a focus on respiratory care and women's health - public health nursing with a focus on the Native American Community. She does women's health education in the clinical setting; adult, youth and family community events as needed. Jenna also teaches the community baby moccasin class. Jenna also provides the community with women's health education, birth control education, and well women screenings. She has worked for the Saginaw Chippewa Indian Tribe for the past two years. In her spare time, Jenna enjoys her pets, traveling, baking, photography, shopping, arts and crafts and watching sporting events. Becky has 3 years of nursing experience in the hospital, including Labor & Delivery, Post-partum, newborn nursing, gynecological and critical care. She is a member of AWHONN Association of Women’s Health, Obstetric and Neonatal Nurses, as well as a member of AACN American Association of Critical Care Nurses. Becky graduated with honors from Mid-Michigan Community College in 2016. She will work to help combine the teachings of our traditional ways with today’s healthcare information to give our children a healthy start in life, as well as help facilitate emergency planning and preparedness in the community. In her free time, Becky enjoys traveling, cooking, reading and spending time with family and friends. Rachel Phillips is the Community Health Representative. Rachel got her Nurses Assistant Certification in 2011 and went to work with the Saginaw Chippewa Tribe at Andahwod CCC & AS for the past 6 years, serving our elders. Rachel continues to help tribal elders with transportation, when needed. Rachel also does diabetic foot examinations and soon to be doing JVN diabetic eye examinations for the diabetic team this spring. Rachel has lived on the Saginaw Chippewa Reservation for most of her life and is very passionate about watching and participating in the community’s future growth. Rachel has future aspirations of continuing higher educational career with concentration in the medical field. Rachel is a soft spoken, hardworking individual who loves spending time with her children, painting, reading and enjoying time with friends and family in her spare time. 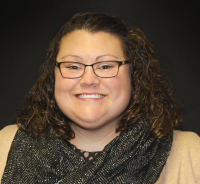 My name is Casey and I am a Community Health Representative at Nimkee. I was born and raised in the Mt Pleasant area; though I have moved around quite a bit after high school. In the past I have been employed at Nami Migizi, which is the domestic violence services department, many different positions at the casino and I was also employed by the Bishop Paiute Tribe in Bishop, California as a peer crisis counselor. Somehow I always make my way back home to Michigan. I’ve been with Nimkee Public Health since July, 2018. I love working with our community and knowing that I can help out in any way possible! Currently I do transports to help our patients get to and from their appointments, I also help with community events that Public Health is a part of.